The CBS AMC Channels Partnership has celebrated an increase in audience share since its channels were launched on Freeview. In a process that began in April 2014 and continued into 2015, one-by-one, all CBS AMC Partnership channels were launched on the digital terrestrial television, although CBS Drama was subsequently moved to a slot with lower UK coverage. CBS Reality, CBS Action, CBS Drama and Horror Channel saw a record year in terms of share of commercial impacts (SOCI), a figure relevant to advertisers, resulting in a delivery of 2.5% of the UK’s adult commercial TV audience in 2016. This was a 14% increase against 2015 and a 107% increase in the past two years, following the launch of all four channels on Freeview. The CBS UK channels also reached an overall UK audience share of 1.45% in 2016, up 12% on 2015 according to official BARB ratings data. The channels' record-breaking month was March with 1.55% share of UK viewers, and the strongest ever share of UK viewers was reached on 4th June 2016 with 2%. 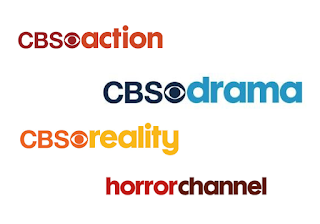 In recent weeks, CBS AMC Channels Partnership have acquired additional broadcast licences from Ofcom to allow them to broadcast timeshift versions of CBS Action and Horror on Freeview in the future. Prior to being on Freeview, the CBS UK channels were available on Sky, Freesat and Virgin Media. The Freeview launch also enabled YouView and EE TV users to access the channel, although some CBS UK channels had been briefly carried on TalkTalk's YouView-based TV service prior to launching on Freeview. In 2016, CBS Reality was the most watched factual entertainment channel in the UK among adult women and the tenth most watch non-PSB channel among all adults. Despite an increase in the number of channels featuring real life crime stories, shows such as Murderers and Their Mothers debuted to 244,000 viewers, and Killer Clergy delivered 163,000 adults across its premiere run. The channel enjoyed a 6% increase in audience share, the smallest increase among the CBS channels. Horror Channel rates as the second most popular movie channel amongst our 25-54 year olds in the UK behind Film4. The channel grew its audience by 16% year on year. The channel recently announced it was to become the exclusive UK television broadcaster of “Star Trek: The Original Series” as of 2017, although previously shown on CBS Action. Over 4.4 million adults tuned in to CBS Action every month in 2016 to watch the likes of NCIS and Walker, Texas Ranger. This translates to a 12% year on year growth amongst the channel’s adult audiences. US drama series NCIS Los Angeles, Scorpion, CSI Miami and Diagnosis Murder form part of the channel's schedules for 2017. CBS Drama, nominally the home of classic CBS drama series such as Matlock, Streets of San Francisco and Dr Quinn, Medicine Woman, has found itself with repeats of Judge Judy in primetime, taking over from CBS Reality, which shows the courtroom show during the day and early evening. Still, it enjoyed an audience growth of 44% year on year following its launch on Freeview, despite being moved to a Freeview slot with lower coverage just a few months after its launch in late 2015, causing dismay from viewers who took to social media to complain at the change, which saw the channel only being available on newer Freeview devices, compatible with DVB-T2 broadcasts.